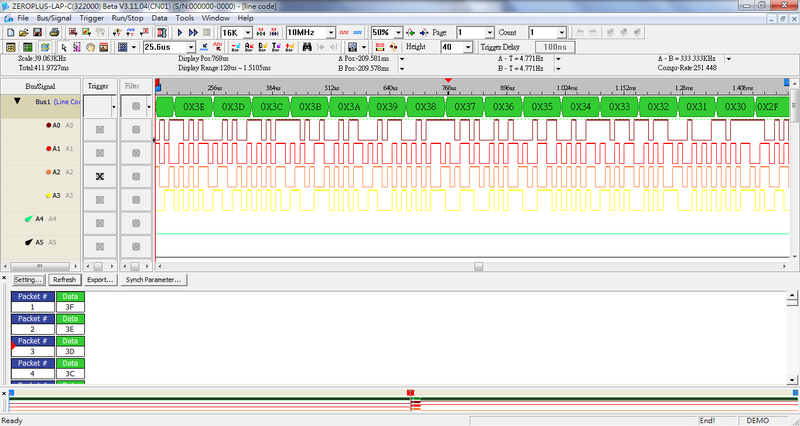 The DS1302, launched by DALLAS, is the Trickle-charge Timekeeping Chip. It contains a Real-time Clock/Calendar and 31 bytes Static RAM and communicates with a Host via a simple serial interface. Specifically, the Real-time Clock/Calendar provides seconds, minutes, hours, day, month, week and year information. Interfacing the DS1302 with a Host is simplified by using the synchronous serial communication. The DS18B20, developed by DALLAS, is the newest one-line Digital Temperature Sensor. The range of the Measurement Temperature is from -55°C to +125°C. It adopts the 1-WIRE’s Digital Mode to transmit the data, which is good for improving the convenience of the system greatly. And it can be used to measure the field temperature in the bad environment. In addition, its Working Voltage can support 3V~5.5V, which make the System Design more flexible. IO-Link (IEC 61131-9) is an open standard serial communication protocol that allows IO-Link-enabled sensors, devices for two-way data exchange, and connection to the master station. The IO-Link master can be transmitted over a variety of networks, such as fieldbus. Each IO-Link sensor has a device description (also called IODD), PLC, HMI and other industrial information systems can use this data for immediate or long-term analysis. In the telecommunications industry, Line Code is also called digital fundamental frequency modulation, or digital fundamental frequency transmission mode. In the fundamental frequency transmission of communication system, one code is used to transmit. Line Code is often used in digital data transmission. It is divided into two modes: Return-to- Zero(RZ) and Nonreturn-to-Zero(NRZ). It has four advantages: 1. Self-synchronization; 2. Lower bit error; 3. Debug capability; and 4. Transparency. HART (Highway Addressable Remote Transducer) is a Communication Protocol that published by Rosemount in 1986 in American. 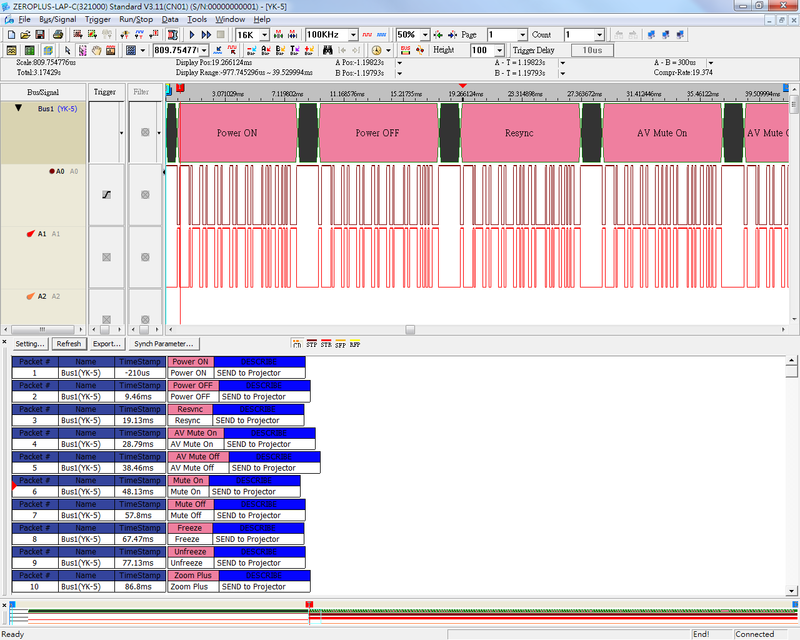 It transmits and encodes the data by FSK modulation mode of Bell202 Standard. By using the HART Protocol, the remote device can control the field apparatus through the HART server, in this way, the remote control be more efficient and the cost of system architecture can be saved. KNX is the abbreviation for Konnex. In May 1999, Protocol Analyzers of EIB, BatiBus and EHSA in Europe have combined into Konnex Association, and then published the KNX Protocol. Taking EIB as its basis, this Protocol includes the physical layer specifications of BatiBus and EHSA, and obtains the advantages of configuration mode, etc. of BatiBus and EHSA. It provides a perfect solution for house and building automation. ModBus was developed by Modicon company of USA, it can effectively control transmission among equipments, and it is applied in communication among PLC. At present, many PLC companies already adopt the protocol, and ModBus is gradually becoming the standard bus for industrial control, it can provide user with more open and flexible ports. Technology is advancing very quickly, transmission of numerical signal is already very common in our daily life, However, engineers can smoothly finish development work on condition that the signals need corresponding development tool. 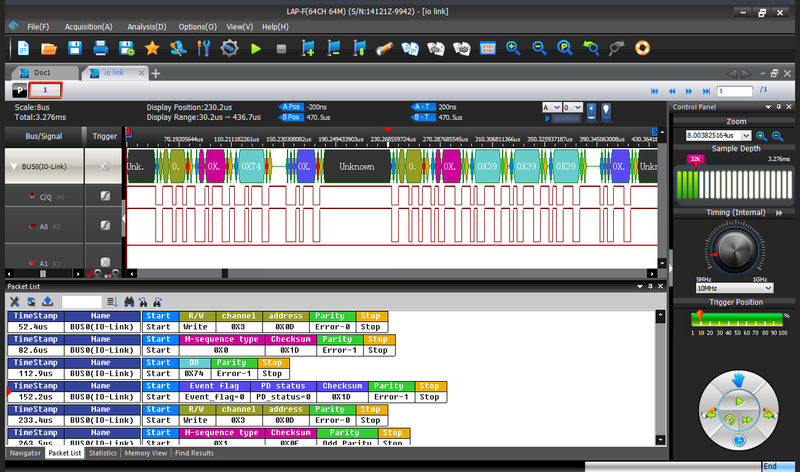 Zeroplus Logic Analyzer supports the function of analyzing MODIFIED SPI. With the help of the decoding function of our software, engineers can analyze the errors quickly when the errors present in the process of analyzing digital signals or transmitting signals. The transmission modes between MODIFIED SPI and SPI are almost the same, and it is mostly applied in the transmission control of printers. OPENTHERM is a Protocol Analyzer, which is used to communicate with the Control System between the HVAC and Room Thermostats. It is a kind of Communication Protocol, which adopts the Digital Control Mode to modulate the temperature of the boiler. The data is transmitted through the Bidirectional Data Transmission Mode in this Communication Protocol, so it can continuously monitor the temperature of the room to avoid the waste of energy. Recommend use with the OPENTHERM 2.2 Adapter designed by LAP-C series specific accessory. *Recommend use with the OPENTHERM 2.2 Adapter designed by LAP-C series specific accessory. 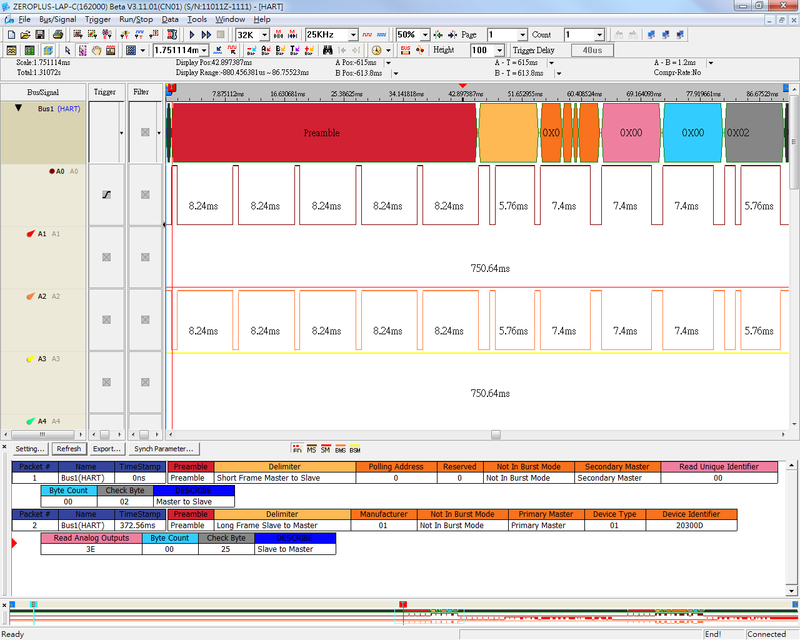 PROFIBUS is a kind of Industrial Network Standard, which owns multiple Circuit Layers. It is commonly applied in the Automation Control. PROFIBUS can provide the Communication Facilities for the Field Level horizontally. 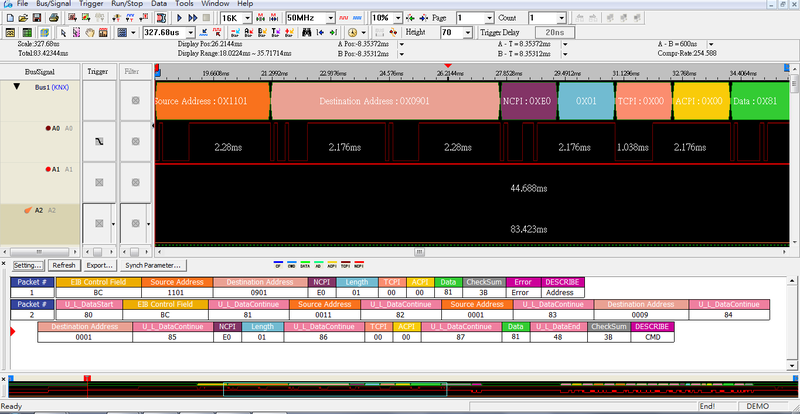 Meanwhile, it can also supply the Communication Facilities among several layers vertically. Therefore, it has been a kind of FIELD BUS Technology which leads the global market over the last decade. YK-5 is a Transmission Interface designed for CASIO Projector and mainly controlled by RS-232. According to the RS-232 Command, it can set the Production ID Identification, Turn On/Turn Off, Lightness, Color, Image Source Switch and so on. The RS-232 signal format used in YK-5 is: Baud Rate: 9600, Data bit: 8 bits, Stop bit: 1 bit. Usually, any computer with the COM Port can connect with it, that is very convenient for using.